St Paul’s has a very active social justice program and Mini-Vinnies group with a dual focus on awareness and action. 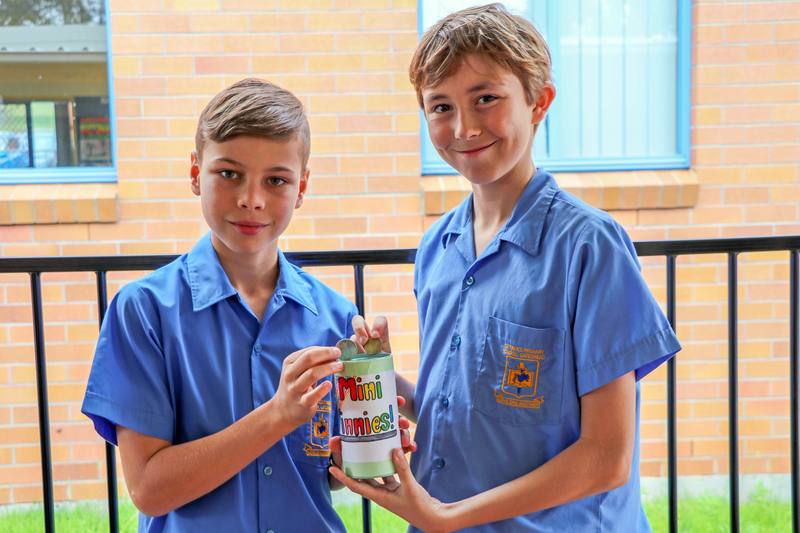 Mini-Vinnies lead the student body in a variety of initiatives including the Lenten CARITAS Project Compassion Appeal, St Vincent De Paul Appeals (winter and Christmas) and Catholic Mission. Caritas Global Support – In the form of Project Compassion Money boxes. Mini-Vinnies leaders actively collect money as well as each family receiving a box to place in their own homes. Vinnies Winter Appeal - Supporting locals – All monies collected are given to the local St Vincent de Paul organisation. Catholic Mission - Global support – A Mission Day, organised by Year 6 students, is supported by a presentation from Richard Cootes from Catholic Mission. Vinnies Christmas Appeal - Supporting Locals - Students and families are asked to support the local appeal through donating non-perishable goods, money or presents, which are then distributed to needy locals at the festive time. The school encourages the students to propose other areas for social justice work at a local level. From year to year this is in response to the needs of the local and wider community.